The Johannesburg Stock Exchange (JSE) dominates South African and African capital markets’ activity. 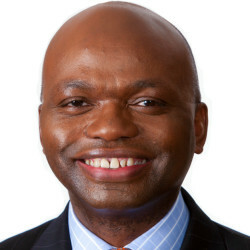 Between 2013 and 2017, capital raised from 44 IPOs by companies on the JSE amounted to $4.8 billion and represented 52 per cent of the total African IPO capital in the equity space, according to information released by PricewaterhouseCoopers in 2018. This excludes the 2018 inward listing of Vivo Energy, which raised approximately $800 million and had a market capitalisation of approximately $2.8 billion. The issuers in the South African IPO market are primarily domestic, although there are a number of foreign entities who have an inward secondary listing on the JSE. In terms of activity we have seen on the JSE recently, overseas companies have an increased interest in inward listings (JP Morgan, 2018). Inward listings are driven to a large extent by South Africa’s exchange control regulations which place certain limitations on South African residents’ ability to hold shares in foreign companies. Foreign shares which are listed on a South African exchange are treated as ‘domestic assets’ for exchange control purposes, which means that the shares can be held freely by South African residents without restriction. This is particularly relevant for South African institutional investors who have restrictions on the percentage of investments held by them which can be foreign assets. Domestic companies tend to list on the JSE, although certain large South African corporates do have dual listings on other exchanges, or have moved their primary listing to a European exchange such as the London Stock Exchange or Frankfurt. A number of South African corporates, including several mining companies, have also utilised American Depository Receipt or Global Depository Receipt programmes to access foreign markets. Most of the larger South African IPOs will include an international offering to UK, US and European investors. The primary licensed exchange for IPOs in South Africa is the JSE. The JSE has two primary boards: a main board (Main Board) and an alternative exchange (AltX) for small and medium-sized companies. The eligibility criteria for listing on the AltX are generally significantly less onerous than the JSE Main Board and it tends to attract more junior and development companies. South Africa has three new stock exchanges which have started trading in the last year, namely the ZAR X, the 4AX and the A2X (the latter of which is the latest to have debuted in October 2017). These largely aim to attract smaller companies in the market with lower barriers to entry (ie, lower costs and less stringent qualification requirements, such as less public free float), although upon launch date, the A2X primarily aimed to commence with secondary listings of JSE listed companies. These exchanges are mostly initially focused on equities listings, although the 4AX has recently commenced a debt listings platform as well. They are all quite focused on the introduction of modern technological advancements. ZAR X allows for real-time settlement, whereas the other exchanges largely follow a T+3 cycle. The new exchanges are, however, still in the fledgling stage, and it is too early at this stage to say whether these new exchanges will provide any significant competition to the JSE. The JSE remains South Africa’s primary exchange - accordingly for the purpose of this chapter we have focused primarily on equity IPO’s on the JSE, and in particular on the JSE’s Main Board. The key regulations that are applicable to IPOs are the JSE Listings Requirements that regulate all companies listed or which intend listing on the JSE, the key regulator in this regard being the Issuer Division of the JSE. The JSE Listings Requirements are secondary legislation, published by the JSE in terms of the Financial Markets Act, 2012 (FMA). Of equal importance in an IPO context is the South African Companies Act, 2008 (the Companies Act). The Companies Act is particularly important in that it regulates on what basis offers can be made to the public in South Africa, and provides certain safe harbours in this regard (see below). An offer of securities (including equity and debt securities) to the public can be made only by a South African public company or a foreign company (incorporated outside South Africa) that has filed its incorporation documents with the Companies and Intellectual Property Commission (CIPC). A public offer will also require the preparation and registration of a prospectus with the CIPC. The Companies Act is also relevant if the offeror is a South African company, as it regulates, inter alia, the manner in which the offering can be made and prescribes certain corporate governance requirements which must be met by the issuer. The key regulators in relation to the Companies Act are the CIPC and the Companies Tribunal. Other key regulation includes the FMA which consolidates the law relating to the regulation and control of, inter alia, exchanges and securities, trading, central securities depositories (relevant for dematerialised shares), the custody and administration of securities, market abuse matters, restrictions on who may market securities, and ancillary matters. The primary regulator under FMA is the Financial Sector Conduct Authority (FSCA) (previously the Financial Services Board). South Africa also has a system of exchange controls that seeks to regulate capital outflows from South Africa. In an IPO context, this inter alia, regulates the listing of shares of non-South African companies on the JSE (inward listings). The primary regulator in this regard is the Financial Surveillance Department of the South African Reserve Bank (FSD). Yes. The listing of equity securities will require the approval of the relevant exchange, which in the South African context is primarily the JSE. The JSE Listings Requirements impose certain eligibility criteria which any company listing on the JSE must meet. From a Main Board perspective, the criteria that must be complied with include, inter alia, three years of audited financials, a recent profit history and a free float of 20 per cent held by public shareholders. The AltX eligibility requirements are less onerous. The issuer will also have to appoint a sponsor who will act as a liaison between the issuer and the JSE. All applications for listing are to be submitted to the JSE through a sponsor. In accordance with the JSE Listings Requirements, applicants seeking to list any securities are required to submit a number of documents to the JSE for review and approval. The key document that has to be prepared (and approved by the JSE) and then distributed is a pre-listing statement, which must include the information prescribed under the JSE Listings Requirements. The JSE also will need to approve the Company’s constitutional documents and the rules of any share incentive scheme. The directors of the Company must typically also provide the JSE with a resolution undertaking to comply with the JSE Listings Requirements and accept responsibility for the pre-listing statement. If an IPO also constitutes a public offering of securities in terms of the Companies Act, then a prospectus will also be required to be prepared and registered with the CIPC. The content requirements for a prospectus are generally similar to those of a pre-listing statement, and the pre-listing statement and prospectus will typically be the same document. The JSE also has an accelerated fast-track listing process for companies that are listed on one of the major international exchanges, and wish to have a secondary inward listing on the JSE. In such a case, a full-blown pre-listing statement is not required, and the issuer will be required to publish a much simpler pre-listing announcement. The smaller exchanges also need to authorise listings on their platforms in accordance with their listings requirements, where, in some cases, application may be made by filling out a form. If the IPO is done in conjunction with an underwritten offer, the underwriting agreement must be filed with the CIPC and the JSE. As noted above, a company that wishes to list on the JSE is required to prepare and publish a pre-listing statement. The disclosure requirements for a pre-listing statement are extensive and require a great deal of diligence and specialist input. A pre-listing statement must include certain information regarding the company and its business (including its directors and officers, its borrowings, material acquisitions and disposals, related party arrangements and material litigation), salient details in relation to the offering and certain historical and pro forma financial information (including three years of audited historical financials). The inclusion of additional non-prescribed information such as risk factors and management analysis of the issuer’s financial conditions and results of operations, has become market practice for South African pre-listing statements, particularly those that relate to an international offering. For specific types of company additional information is required. For example, a mining company must include a competent persons report setting out its reserves and resources, and a property company must provide valuation reports on its property portfolio. An announcement containing an abridged pre-listing statement must also be published. If a prospectus is required in terms of the Companies Act, the Companies Act specifies that a prospectus must contain all the information that an investor may reasonably require to assess the assets and liabilities, financial position, profits and losses, cash flow, and prospects of the company in which the shares are to be acquired, and to assess the securities being offered and rights attached to them. However, as noted above, the content requirements are generally similar to those of a pre-listing statement, and the pre-listing statement and prospectus will typically be the same document. Both the JSE Listings Requirements and the Companies Act permit an issuer to apply for a dispensation from including certain information (whether for reasons of confidentiality or otherwise). In providing offering-related documentation to local investors, the marketing of securities restrictions under the Companies Act, the Collective Investment Schemes of South Africa Act (CISCA), 2002 and the Financial Advisory and Intermediary Services Act (FAIS), 2002 must be considered. For instance, under the Companies Act, an advertisement relating to a public offer must meet certain prescribed requirements. Failure to do so is an offence. This applies only in the context of a public offer, however. CISCA regulates offerings by collective investment schemes, FAIS regulates the provision of any investment advice or recommendation that must typically be done by only a registered financial service provider. A disclaimer is typically included in a pre-listing statement or prospectus, stating that it includes only factual information and does not constitute an investment recommendation or advice. in a listed context, if it contains any price sensitive information, be released in a way which is appropriate and complies with relevant insider dealing legislation and stock exchange rules. Typically, in the context of security offerings, publicity guidelines are pre-agreed to effectively manage the release of communication from a regulatory and market practice compliance perspective. There are no specific restrictions dealing with the publishing of research reports by underwriters, but the considerations set out above apply equally. The nature of the sanction sought will ultimately depend on the regulation that is breached. A breach of the JSE Listings Requirements would typically be referred to the JSE Investigation Division - the JSE has various remedies available to it, in relation to those persons who fall under its ambit, including issuers and their directors, sponsors and certain advisers (such as JSE-accredited auditors). Remedies include private or public censure, suspension or termination of listing, a fine or withdrawal of accreditation (in the case of sponsors or JSE-accredited advisers). Breach of the FMA (of insider trading or market abuse rules) can be referred to the FSCA. The FSCA was established in terms of the Financial Services Board Act, 1990 as an enforcement committee to discipline certain professionals operating in the securities industry, and recently renamed. After consideration of a matter referred to the enforcement committee, an administrative penalty can be imposed on a person who provides securities services, or the committee may require such person to pay a compensatory amount to the FSCA. The Directorate of Market Abuse (DMA) is empowered in terms of the Financial Markets Act, 2012, to investigate cases of insider trading, prohibited trading practices and the making of false, misleading or deceptive statements, promises or forecasts in respect of listed securities. The DMA can refer cases of insider trading to the enforcement committee of the FSCA, which has the power to impose administrative penalties on an offender. The DMA may also hand the matter over to the prosecuting authorities for consideration or take civil action against an alleged offender. A breach of the Companies Act may expose the issuer to certain administrative sanctions or financial penalties or in some cases constitute an offence. The timeline of a typical IPO in South Africa will depend ultimately on a variety of factors including the complexity of the transaction, the work involved in preparing the company for listing and life as a public company, market conditions and the timing of the issuer’s financial reporting. It can take anything from four to 12 months and will also be influenced by factors such as market conditions, and appropriate windows for IPO offerings (January, December and April are typically avoided as a result of South African holidays), and if the offering is an international offering, international offering windows will also be taken into account. There will typically be a preparatory stage involving extensive due diligence on the company and preparatory work in preparing the company for listing, including converting it to a public company, adopting a new JSE-compliant memorandum of incorporation (ie, the constitutional document of the issuer) and putting in place the appropriate board and committee structures and charters. The drafting of the pre-listing statement or prospectus will also be begun during this stage. Once approved, the pre-listing statement will then be distributed (including the price range) and, on the back of that, a management roadshow will be conducted whereby presentations are made to key investors, domestically, and if applicable, internationally. At the end of the roadshow process, a bookbuild will be conducted, the listing price determined and allocations made. The results of the bookbuild and listing price will be announced in a pricing announcement and closing and settlement will then take place three trading days later, as the JSE operates on T+3 settlement cycle. From a JSE perspective, fees are published on the JSE’s website: www.jse.co.za. The initial listing fees and annual fees for listed companies vary depending on the market capitalisation of the issuer, and range between approximately 1,500 South African rand and 3,000,000 South African rand. The fees for smaller exchanges aim to be significantly less. The Commission is the primary regulatory body established by the Companies Act. If a prospectus is required to be published as part of the transaction, then the prospectus will need to be registered with the CIPC. The CIPC’s fee for reviewing and registering a prospectus are approximately 2,000 South African rand for a draft prospectus and 5,000 South African rand for a final prospectus. The prior approval of the Financial Surveillance Department of the South African Reserve Bank will be required under South Africa’s exchange control regulations, where a foreign entity lists shares on the JSE. No fee will be payable. Approval may also be required from the relevant sector-specific regulator (eg, in the banking, insurance, mining, and communications sectors). Fees may be payable to the relevant regulator in connection with such approval. The underwriter’s fees will usually be an amount equal to a percentage of the underwritten portion of the offering. In addition, the issuer will be responsible for the fees of all of its advisers, such as its accountants, legal advisers and investment banks. These will vary depending on a wide range of factors such as the size of the offering as well as its complexity. These fees are required to be disclosed in the pre-listing statement or prospectus. Issuers must comply with corporate governance requirements set out in the JSE Listings Requirements, which includes various rules regulating the composition of the issuer’s board and board committees, and places an obligation on issuers to comply with the South African Code of Corporate Practices and Conduct as set out in the King Report IV on Corporate Governance, and explain in their pre-listing statement and annual reports how they have done so. a formal policy to be in place for appointment of directors. To a certain extent, similar requirements need to be in place in respect of the smaller exchanges as well. Yes, smaller companies typically list on the AltX. They have significantly lower free-float and threshold requirements, as well as reduced compliance factors. The new smaller exchanges also largely aim to attract companies in this market. (See question 3.) In addition, the JSE may, in its absolute discretion, list a company that is in its development stage (other than a mineral company) and that does not meet certain listing eligibility criteria. The JSE Listings Requirements also provides for the listing of a special purpose acquisition company (SPAC), which is effectively a special purpose vehicle established for the purpose of facilitating the raising of capital to enable the acquisition of viable assets in pursuit of a listing on either the Main Board or the AltX. Amongst other criteria for listing as a SPAC, the capital raised by a SPAC must be retained in escrow and the SPAC must, in its pre-listing statement or prospectus, disclose to investors the acquisition criteria it will employ to identify viable assets. Within a period of two years from the date of listing, such capital proceeds must be utilised to acquire viable assets, being assets that on their own will enable the SPAC to qualify for a listing on the Main Board or AltX. If an acquisition of viable assets is not completed within the two-year period from the date on which the SPAC is listed (or such alternative date as the JSE may permit), then the SPAC is required to return the monies initially invested to its shareholders, plus accrued interest, less certain permissible expense. Anti-takeover devices are not common in South Africa. Historically, hostile transactions have been rare in South Africa, although this is changing and there have been a number of recent high profile transactions. There are also a few remaining companies listed on the JSE which have a two-tier voting system. the making of an abnormal distribution. Even if a bona fide offer is not imminent, South Africa directors are obliged to comply with their fiduciary duties to the company and take actions which are in the best interests of the company only. In terms of the Companies Act, an offer of securities to the public may be made only by a South African public company or a foreign company (incorporated outside South Africa) that has lodged its constitution and details of the board of directors with the Commission. A foreign entity wishing to list on the JSE requires prior FSD approval. To the extent that such foreign entity is conducting business in South Africa, it may be required to register as an external company. Under the Companies Act, making or offering of securities should not, in and of itself, constitute ‘conducting business’. The JSE requires confirmation that a foreign issuer has registered as an external company or else is deemed not to be required to do so. In addition, unless the foreign issuer has at least 20 per cent free float on its South African register, the JSE Listings Requirements requires such foregoing issuer to make arrangements to ensure that sufficient scrip is available on the South African register for settlement purposes. 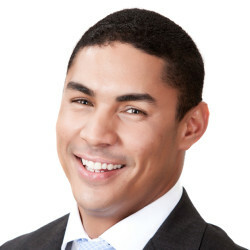 Current guidance provided to the market by the JSE Clearing and Settlement is to have a 5 per cent holding of the total issued percentage in South Africa ‘ring fenced’ for the JSE Settlement Authority to fulfil their role in mitigating risk through facilitating lending and borrowing within the South Africa market from time to time. In practice, selling shareholders have typically agreed to make such scrip available. Foreign companies with an inward listing are allowed to use shares as acquisition currency in South Africa and to include South African shareholders in a rights offer. A foreign entity with an inward listing that raises capital in South Africa must open a special bank account in South Africa for the duration of the listing for purposes of recovering and recording the capital raised. The capital raised must be deployed as soon as possible but not later than one month after being raised and recorded in the special bank account. There are no additional registration or filing processes for foreign companies raising capital in South Africa (over and above the prospectus or placing document required by any local exchange) other than the requirement to file its constitution and board composition with the Commission. investors who subscribe in their capacity as principal for shares that are worth a minimum prescribed amount (currently 1 million South African rand). South Africa applies a residence-based (or worldwide) system of taxation, while for non-residents, (subject to certain exceptions) only receipts and accruals of income derived from sources in or deemed to be within South Africa are subject to tax. Capital gains tax (CGT), being the portion of normal tax attributable to the inclusion in taxable income of a taxable capital gain, is primarily aimed at resident individuals who own shares in their own names. Non-resident shareholders will not be subject to CGT on the disposal of assets in South Africa, unless those assets constitute immovable property in South Africa (including an interest in immovable property in South Africa where more than 80 per cent of the value thereof is attributable to that immovable property), or assets effectively connected with a permanent establishment of that non-resident in South Africa. Securities transfer tax (STT) is payable at a rate of 0.25 per cent on any transfer of a security. For listed securities, STT is payable by the intermediary that processes the transfer, who may then claim that STT from the purchaser of the securities in question. Non-residents would generally be subject to withholding tax on dividends at 15 per cent, reduced by any applicable double tax treaty relief (typically to a minimum of 5 per cent withholding tax). The regulatory activities undertaken by the JSE Market Regulation division include the monitoring of trading in the various JSE markets to identify possible market abuse and oversight of JSE members’ compliance with their regulatory obligations. If investors have any concerns or complaints related to any trading activity in one of the JSE markets (including potential market abuse), or the operation of their account at one of the JSE member firms and if the member firm has not satisfactorily addressed the issue, such investor may contact the JSE Market Regulation Division for redress. 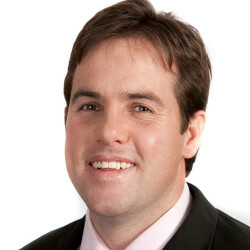 There are onerous prospectus provisions that impose statutory liability on persons involved in the preparation of a prospectus (including experts) for losses caused by false information in a prospectus, and directors of the issuer could also incur liability in relation to a prospectus or offer document of South African common law (for deceit or negligence) or for negligent or fraudulent misrepresentation under the South African law of delict. See response to question 8 in relation to insider trading action by the DMA. The South African Constitution provides for class actions. However, no laws have been passed to regulate the procedure to be followed for class actions. A number of cases brought before the courts have started to build a framework to guide class actions, and while there have not been any class actions involving an IPO related claim so far, there is nothing in our law precluding the possibility of it occurring in the future. Investors may bring causes of action relating to trading activities such as the buying and selling of shares and settlement defaults. Investor claims are generally brought against member firms of the exchange through whom the investor acquired or purported to acquire the shares. Investors are encouraged to first approach the member firm with any complaint and only if it is unresolved to then refer the matter to the JSE. If the complaint continues to remain unresolved, the investor can then lodge a complaint to the FSCA which was established to protect investors. Remedies that investors can seek include a recovery of losses incurred as a result of settlements defaults or defaults arising from the member firm failing to honour its obligations. As noted above, there has been an increased interest in inward listings in the last year. As mentioned in response to question 3 above, South Africa has three new stock exchanges which have emerged in the last year, namely the ZAR X, the 4AX and the A2X. These are in addition to the securities exchange operated by the JSE, which previously was the only platform for public listings in South Africa. The new exchanges are disrupting the JSE’s multi-year monopoly, and are likely to provide useful benefits to publicly listed companies, including lower costs and improved liquidity for public mergers and aquisitions activity. For the most part, these stock exchanges also intended to have less stringent requirements for listing than the JSE, aimed at attracting smaller players in the market. The boom of the use of cryptocurrencies (otherwise commonly referred to as coins and tokens) in South Africa has resulted in South African regulators instigating various public workshops and discussions in the process of coming up with regulations to address the emerging trends. The regulators appear to be following a pro-innovative approach, and based on their public statements so far, they are expected to regulate tokens rather than ban them. For the time being, tokens are not considered to be ‘securities’ by the FSCA in terms of the Financial Markets Act, 2012, and digital currency exchanges are not formally required to have FSCA exchange licences in order to operate tokens. Once regulation has provided more clarity on the treatment of tokens, or theoretically, even before that, it is possible that existing South African stock exchanges may start to list derivatives or exchange-traded funds that track returns on tokens. It remains to be seen whether the regulators will prescribe a process to be followed in respect of initial coin offerings, and whether these will be dealt with similarly to IPOs.